Since man first began to roam the seas, pirates have been a scourge, and yet they have held their fascination as well. The Golden age of swashbuckling and piracy is over, and it is difficult to find quotes from the more famous, feared, and, revered pirates that sailed the seas during this time. Although hard to find, there are still some firsthand resources that, if not recording the actual words of these pirates, at least have some basis in historical fact. 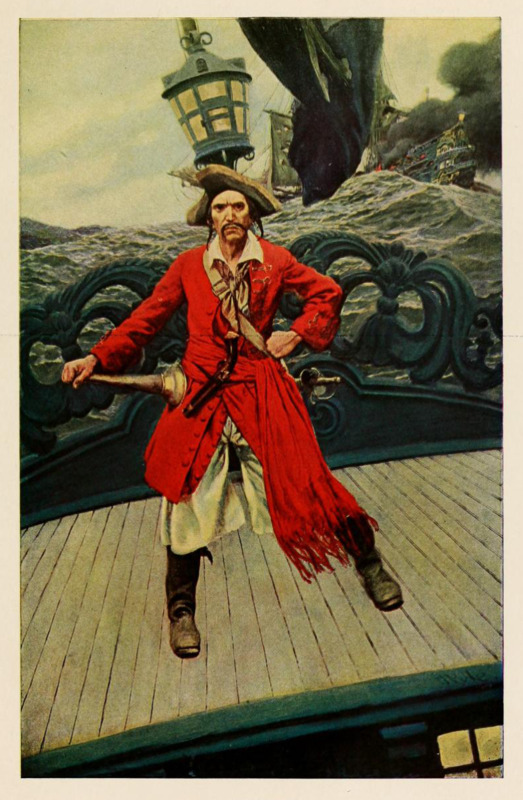 If you are looking for modern or movie quotes about pirates stop reading here; if you're looking for historical quotes from real pirates of the Golden Age, then read on. International Talk Like a Pirate Day is on September 19th. Instead of spouting tired, too often used phrases (adding "arghh" to the end of each sentence, or saying "ahoy matey" to every person you meet — or worse yet, badly imitating Jack Sparrow or Sponge Bob) dazzle your friends by using some of the authentic pirate quotes listed below. 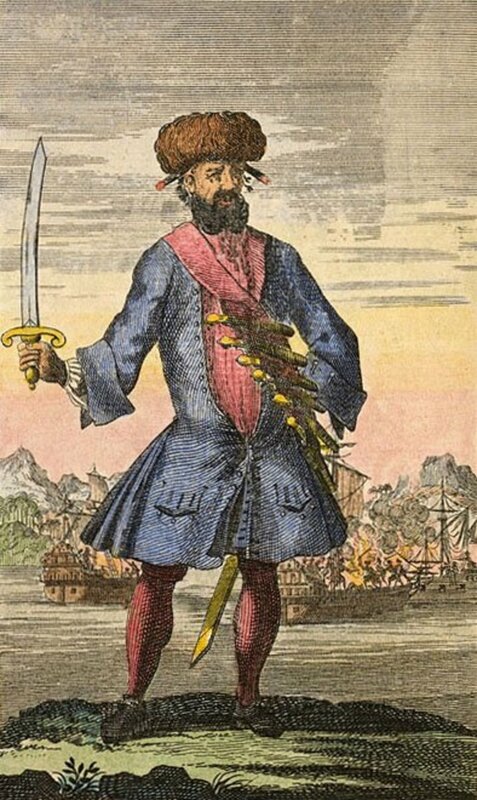 Edward "Blackbeard" Teach was one of the most feared and yet well remembered pirates of the Golden Age of piracy. Some of the best pirate quotes come from him. "Damn you villains, who are you? And from whence came you?" Use this as a greeting when walking into work or class on September 19. "Damnation seize my soul if I give you quarters, or take any from you." This quote works well if someone you are not friendly with asks to stay over at your house or asks you to stay at his. "Let's jump on board, and cut them to pieces." Perfect to use when getting involved in a silly school or workplace argument. "Hark ye, you Cocklyn and la Bouche, I find by strengthening you, I have put a rod into your hands to whip myself, but I am still able to deal with you both; but since we met in love, let us part in love, for I find that three of a trade can never agree." — Howell Davis having been in an alliance with pirates Thomas Cocklyn and Oliver La Buse, divorces himself from this alliance. While not as famous as Blackbeard, he also loved to use the word "damn," making him a good source of International Pirate Day material. He was, however, a tad more long-winded than the average pirate, making his speech more difficult to sputter. "Damn my blood, I am sorry they won't let you have your sloop again, for I scorn to do anyone a mischief, when it is not for my advantage." These are great words to live by especially on September 19. 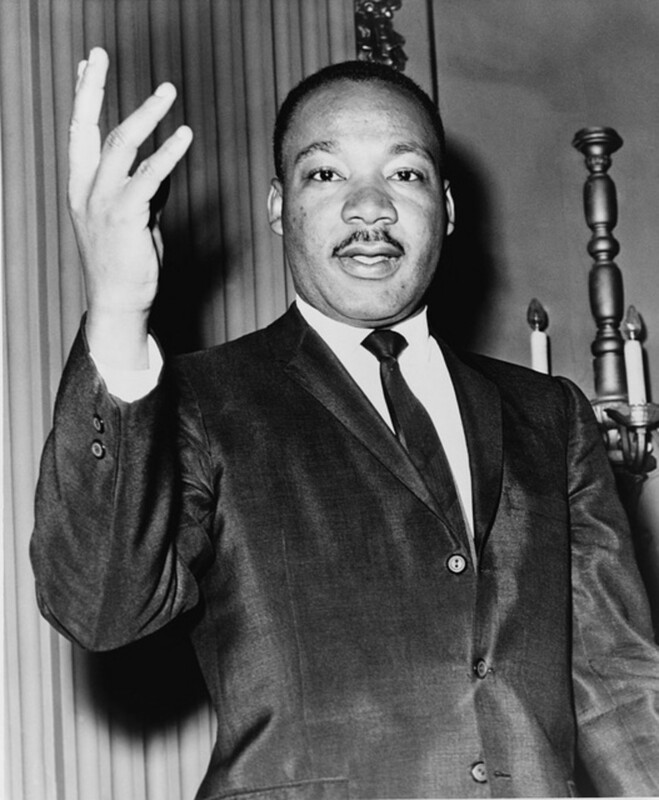 "Black" Sam loved to preach against those individuals who followed authority figures blindly or "sucked up" to the powers that be. On September 19, use any of the following quotes at work or school to those friends or co-workers who just won't stop selling themselves out blindly to authority figures. "Damn ye, you are a sneaking puppy, and so are all those who will submit to be governed by laws which rich men have made for their own security." "Damn ye altogether: damn them for a pack of crafty rascals, and you, who serve them, for a parcel of hen-hearted numbskulls. They vilify us, the scoundrels do, when there is only this difference, they rob the poor under the cover of law, forsooth, and we plunder the rich under protection of our own courage; had you not better make one of us, than sneak after the asses of those villains for employment?" "I am a free prince, and I have as much authority to make war on the whole world, as he who has a hundred sail of ships at sea and an army of 100,000 men in the field; and this my conscience tells me; but here is no arguing with such sniveling puppies who allow superiors to kick them about deck at pleasure; and pin their faith upon a pimp of a parson; a squab, who neither practices nor believes what he puts upon the chuckle-headed fools he preaches to." "Damn my blood, I am sorry they won't let you have your sloop again, for I scorn to do anyone a mischief, when it is not for my advantage." Black Sam said this to Captain Beer whose ship was voted to be sunk by Bellamy's pirates. 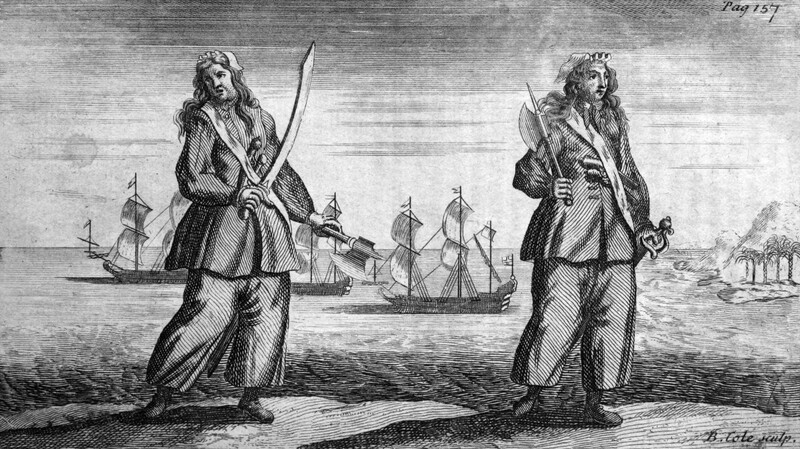 Both Anne Bonny and Mary Read were pirates who, although female, were feared by all for their ruthlessness. 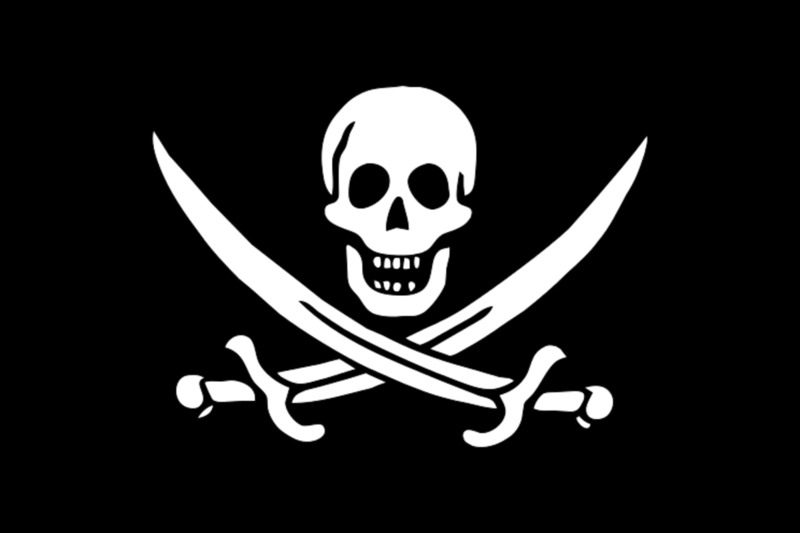 They sailed with "Calico"Jack Rackham (who flew the skull and sabers flag stolen by the Pirates of the Caribbean franchise centuries later). All three were captured while they were having a party below deck. While Anne and Mary fought valiently, the men cowered in the hold below deck. A complete transcript of their trial exists and is an excellent source of first hand accounts of pirate conversation. "I am sorry to see you here, but if you had fought like a man, you needn't be hanged like a dog." (Anne Bonny) Ladies, this a good one to use when your boyfriend leaves you hanging to fight your own battle. "As to hanging, it is no great hardship. For were it not for that, every cowardly fellow would turn pirate and so unfit the sea, that men of courage must starve." (Mary Read) This is a good last line to your principal after you've been given a detention for fighting. "I plead my belly." Both Anne and Mary plead pregnancy at their trial, which was a common defense for pregnant women women on trial. "Come, don't be in a fright, but put on your clothes, and I'll let you into a secret. You must know that I am Captain of this ship now, and this is my cabin, therefore you must walk out. I am bound to Madagascar with a design of making my own fortune and that of all the brave fellows joined with me...if you have a mind to make one of us, we will receive you, and if you'll turn sober, and mind your business, perhaps in time I may make you one of my Lieutenants, if not, here's a boat alongside and you shall be set ashore. "—Henry Avery informing Captain Gibson of the Duke that he was taking over Gibson's ship and becoming a pirate. 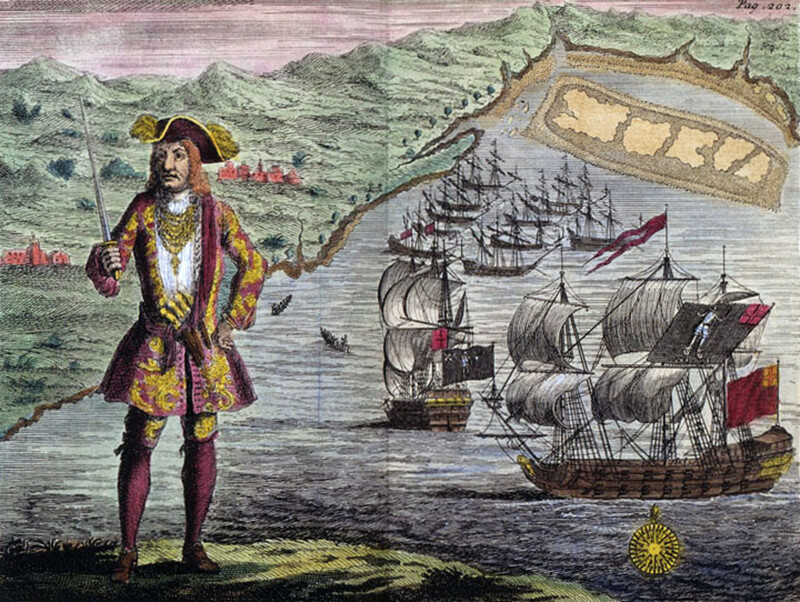 Black Bart was born in Wales and is considered the most successful pirate that lived during the Golden Age of Piracy. 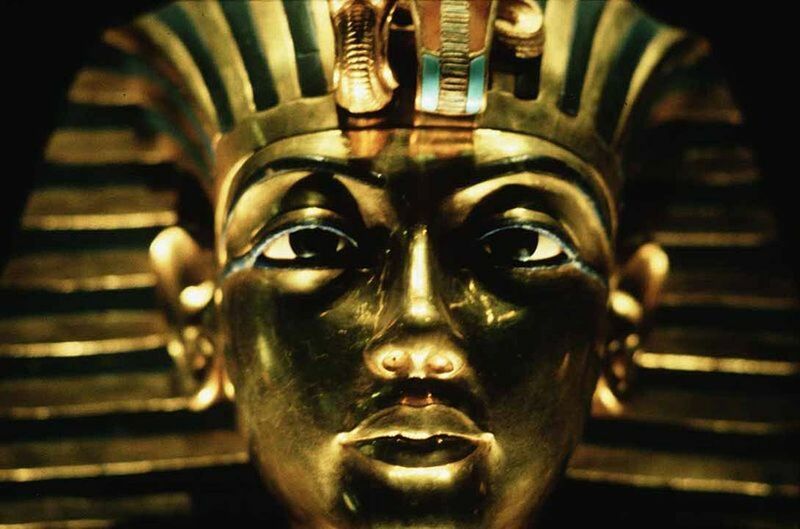 He invoked terror and invincibility to all he encountered, and even his death shook the world. His dying was considered the end of the Golden Age of Piracy and the celebration "The Blackest Day" marks his death and the end of piracy's Golden Age. "In an honest service there is thin commons, low wages, and hard labor; in this, plenty and satiety, pleasure and ease, liberty and power; and who would not balance creditor on this side, when all the hazard that is run for it, at worst, is only a sour look or two at choking. No, a merry life and a short one, shall be my motto." A great quote to use on September 19 for parents or teachers putting too much pressure on school, school, and more school work! "There is none of you but will hang me, I know, whenever you can clinch me within your power." Black Bart said this to his victims explaining that he was under no obligations to treat them kindly or fairly. "My Lord, it is a very hard sentence. 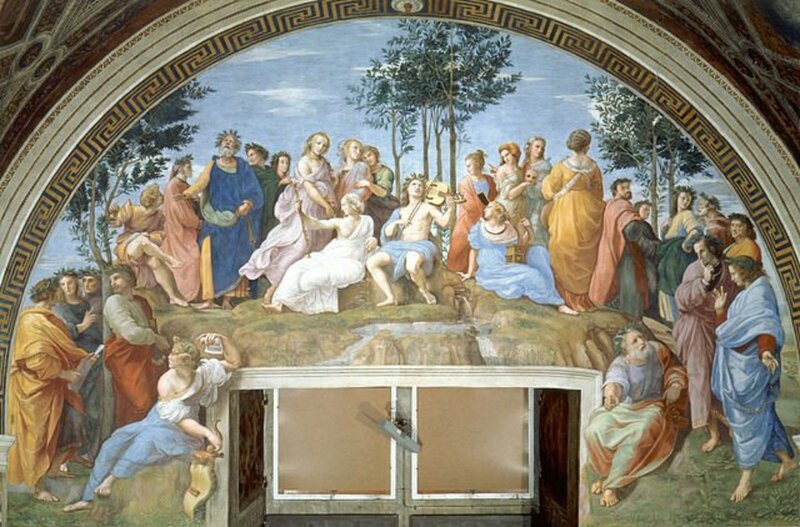 For my part, I am the innocentest person of them all, only I have been sworn against by perjured persons. "—William Kidd when about to be hanged. Use this line on September 19 in the event your principal or teacher is assigning detention for misbehaving in school. "Heaven you fool? Did you ever hear of any pirates going thither? Give me hell, it's a merrier place: I'll give Roberts a salute of 13 guns at entrance." — Thomas Sutton, part of Black Bart's crew, after having been captured, said this when a fellow pirate expressed the desire he hoped to make it into heaven. Sandusky, Trent. voices.yahoo.com. Real Pirate Quotes for Internatinal Talk like a Pirate Day! Historical, Authentic Pirate Phrases to Amaze Wenches. September 9, 2009. You must be a pirate lover!!! Great hub with great info, very interesting , thanks! Oh that some of these had been my own lines in "H. M. S. Pinafore"! And I especially like that you suggested ways to use the quotes on Sept. 19th of each year. Apparently some of the pirates were well-educated. Fine Hub. Happy Thanksgiving to you and yours. Anthony, thanks for taking the time to comment. Although not pirates in the true sense I'm sure many who sailed under 'a letter', performed deeds to rival some real pirates! Hope you found my hub interesting! William Kidd was a sad case of "whoops we messed up" on the part of the British Navy. 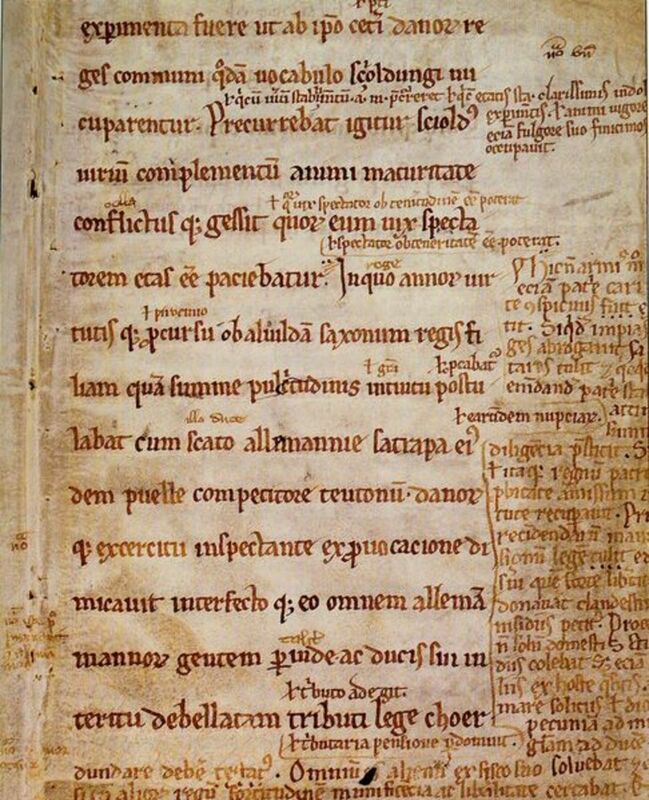 His claim to sailing under a "Letter of Marque" from the King was ignored, not found until 200 years later when there was a reordering of royal documents and the letter was discovered, a Pirate who actually wasn't , a shame in so many ways. Glad you enjoyed this one endless sea. I have a few pirate hubs and enjoyed writing them all! Thanks so much Tycoon Sam. Loving the vote up! Deborah, I'd love to see a video of you and your friends conversing on Talk Like a Pirate Day. Might make an interesting hub! Thanks aviannovice. Glad you enjoyed this bit of fun!!! Glen, so glad I could be of help. I was a very fun hub to write and as I discover more resources for quotes I will add to it - hopefully some shorter, easier to remember ones!!!!! Hope your son and grandkids enjoy your pirate speak. I'll be thinking of you on the 19th! A terrific piece on the popular pirate phrases of the day. Arggghhhh! I love this hub, Teresa. Thanks to you, I'm really going to impress my son, a much bigger pirate buff than I, on Talk Like a Pirate Day this year! Yes, Anne did not suffer cowards easily even her own mates. Pirates are a never ending source of fodder for hubs! Thanks for visiting Judi! 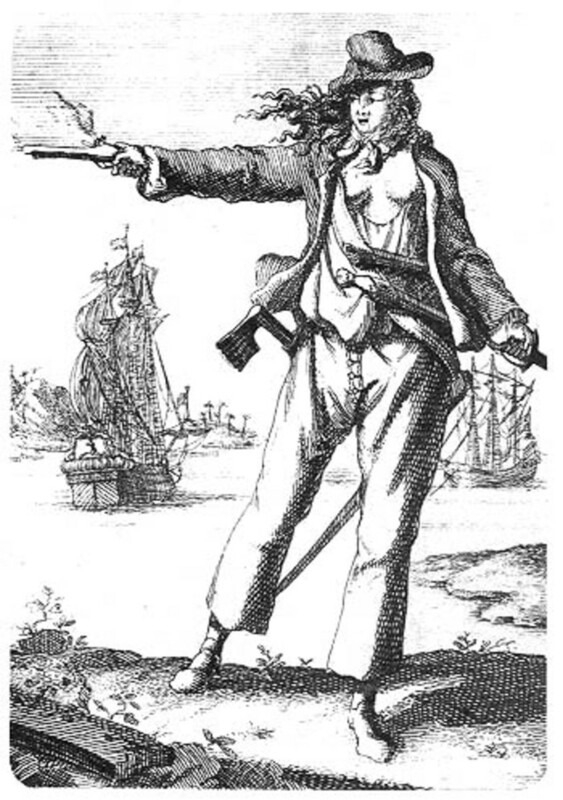 I particularly like Anne Bonny's comment to the cowardly men who failed to defend the ship! Great hub, as Bill says, I do like pirates! Thanks for the comment billybuc! Glad you enjoyed the material and I will surely check out Judi B. You and Judi B should get together; she writes often about pirates and I'm sure you two have many stories to share. Great hub; I find this all very interesting.